Byzantine Empire was the part of the Roman Empire, which survived the fall of the Western Roman Empire in 476 A.D. Byzantium was the keeper of Greek, Hellenistic and Roman culture and traditions. It continued to exist in the East up to 1453 A.D. There, Latin languge was replaced by the Greek and its main religion was Orthodoxy in contrast to the Roman Empire where many cults existed, for example, the one of Mithras in the late timeperiod of the Empire. Here, I will quote books also from Roman history in order to reestablish a possible hand-to-hand combat experience, which I try to reconstruct for Leontes Academy. Image 1: Byzantine Weapons and Armor, Hosias Loukas, Greece, 11 century. What made Byzantines so Unique in Battle Readiness? Byzantine Empire as mentioned above was the continuation of the Roman Empire in the East and in order to survive up to 1453 A.D. its soldiers had to have, firstly, elite discipline and training. 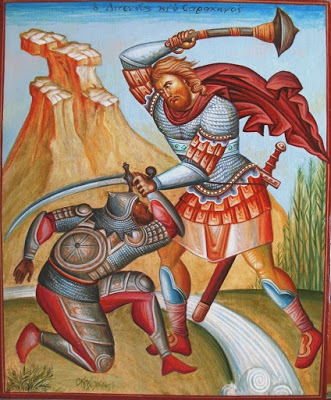 I would like to mention here some information from the book of Leo the Wise [886–912] – Byzantine Emperor: “[…] swords sharpened and brightly shining, regular shields as well as the larger ones called thyreoi, other small shields, formerly called peltasts, for the foot soldiers, other shields of iron, round and well polished […]” (Taktika of Leo VI: p. 74). These is some of the equipment that was used by the Byzantines and which Leontes Academy may adopt for training. The Emperor Leo VI continues: “A weapon is appropriate and serviceable if it matches the strength of the person who is to wield it.” (Taktika of Leo VI: p. 74) Moreover, “Daggers. [and] Large, single-bladed swords.” were used (Taktika of Leo VI: p. 74). 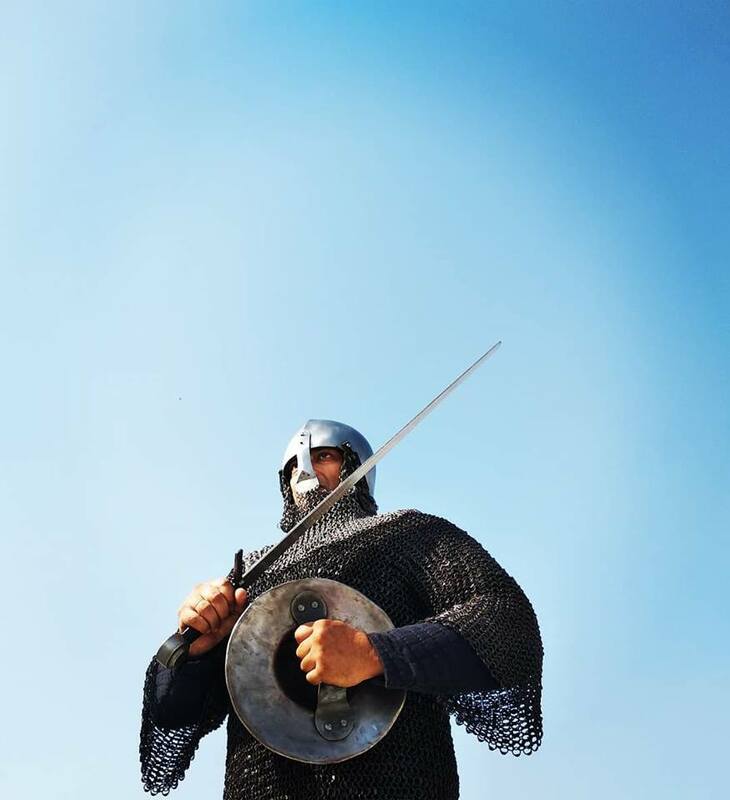 Byzantine Warrior had to provoke fear in his enemies. Thus, some elements of fighting, which may have remained unnoticed will be discussed in my work. 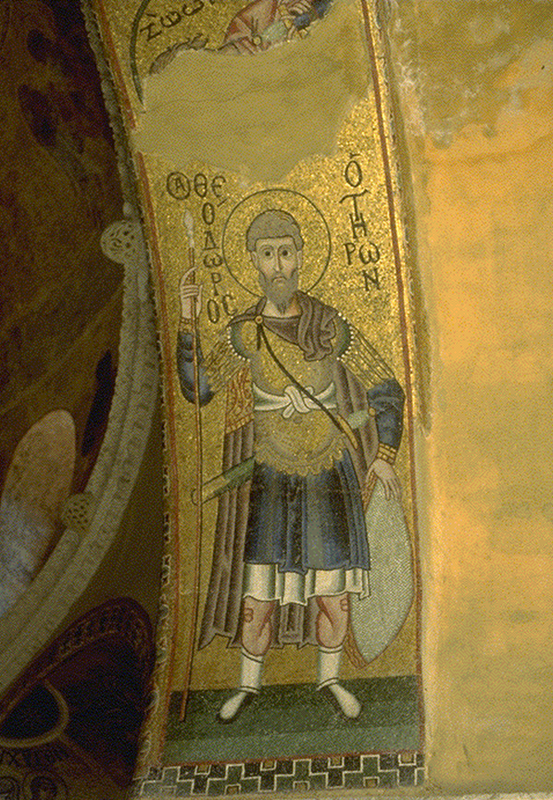 Oxford Dictionary of Byzantium provides description of Byzantine Armor: Thorax (Body Armor) for cavalry men was produced of chainmail or lamellar, combining small plates with leather backing; these protection is called zabai, lorikia or klibania (Oxford Dictionary of Byzantium: Armor, p.182). Byzantine military paid significant attention to the cavalry. Thus, I also mention their battle armor. 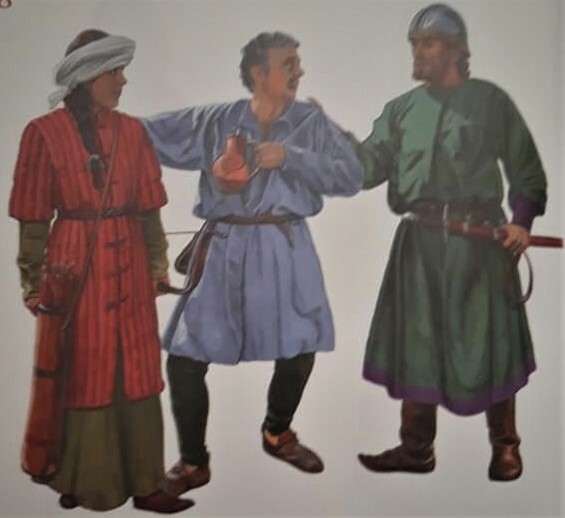 However, Infantrymen had more simple armor – knee lenght quilted coats – kabadia from felt or linen (Oxford Dictionary of Byzantium: Armor, p.182). Byzantines wore gauntlets called manikia, helmets called kranea or kassidia, which were made from iron – segmented or cast whole, usually with flaps of chain mail or felt in order to protect the face and neck (Oxford Dictionary of Byzantium: Armor, p.183). Shields – oval, rectangular and kiteshaped were made from wood and covered with iron or leather, ranging from 1,4 m to 80cm in diameter (Oxford Dictionary of Byzantium: Armor, p.183). Image 2:Byzantine Weapons and Armor, Byzantine Warrior,Reims Cathedral, France. Additionally, I would like to add the following, which pertains to battle mentality and leads us to what I said in the beginning concerning the warrior’s way of life: “We order you, above all and with all, to have the fear of God, a sharp mind, and serious intent in every time, place, and affair, as well as to be ready for every eventuality.” (Taktika of Leo VI: p. 79). Moreover, battle mentality is characterized by the belonging to the Orthodox faith: “Many men who had completed their service in the army […] entered a monastery.” (Haldon: Byzantium At War, p. 62). Courage was above all important in order to decrease casualties: “Of the Romans only eighty were killed, and these were the men who stood in the ranks where they had to withstand the first shock of the Frankish charge.” (Holmes: The Age of Justinian and Theodora, p. 665). One has to say in relation to training and education the following: the adaptability of the Byzantines in their economical, i.e. all other practical matters as well. (73 page, The Economic History of Byzantium: Angeliki Laiolu). Thus, Byzantines had self educational way of adaptability leading to adopt new practical ways in order to cope with a given situation. 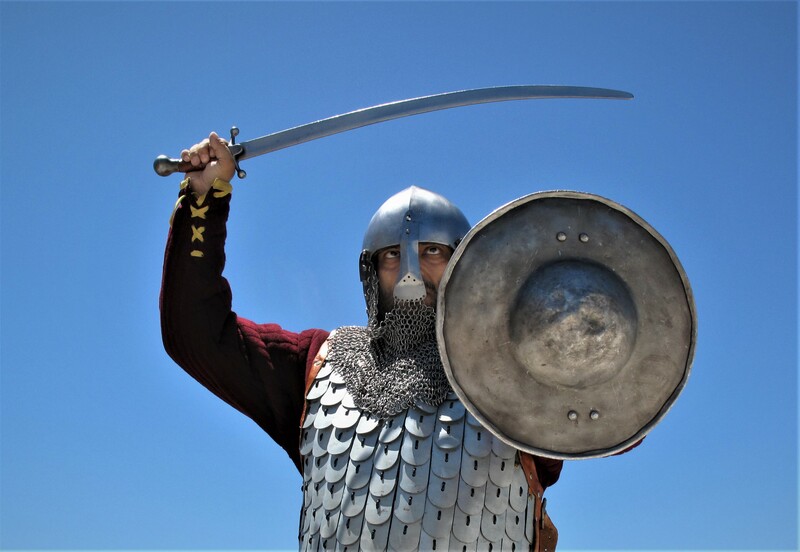 Byzantine hand-to-hand combat techniques can be searched in Old Russian or more precisely Church Slavonic or Old Church Slavonic manuscripts, because “Интерес к военной культуре Византии проявляли киевские князья, а затем русские военные теоретики вплоть до начала XVIII в., когда все основные военно–теоретические работы византийцев были переведены на русский язык. 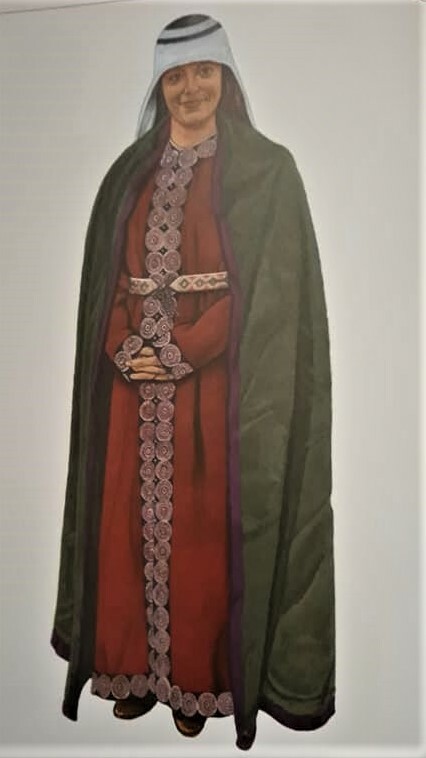 [Interest in the military culture of Byzantium was shown by the Kiev princes, and by the Russian military theorists until the beginning of the 18th century, when they translated all main military theoretical works of the Byzantines into Russian language. ]” (Разин: История военного искусства [History of Military Art], Vol. 2, p. 249).Thus, Military treatises of the Byzantine could have been copied by others as mentioned above about the Kievan Rus. “The shouts which were raised by the combatants in their rear […]” (Julius Caesar: The Gallic Wars, Ch. 84, Book 7). And summarizing the battle shouts, I would like to give the following words that serve as a proof that they existed: “Что касается боевого клича, который иногда по обыкновению издается во время сражения, именно клича «С нами Бог!» [Concerning the Battle Cry, which is heard sometimes in battle, namely, – God with Us]” (Кучма: Стратегикон Маврикия [Strategikon of Maurice], p. 97). Byzantines also practiced combat training trough such activity as hunting: “В мирное же время охота для стратиотов необходима. [In peaceful time, hunting for Stratiotes is necessary]” (Кучма: Стратегикон Маврикия [Strategikon of Maurice], p. 83). Physical training and Intelligence played a role for the preparation of hand-to-hand combat: “людей трезвомыслящих, бдительных, быстрых и хорошо выглядящих [people with clear thought, careful, fast and well built” (Кучма: Стратегикон Маврикия [Strategikon of Maurice], p. 94). On the training, one can say the following: “Ведь полная победа заключается не в том, чтобы слегка отбросить врага и на этом остановиться, но и поражения не произойдет, если немного отойти, а затем снова повернуть назад. И поскольку итог военного противоборства знаменуется этими обоими показателями, необходимо сражаться так, чтобы познать их до конца. [After all, a complete victory is not to push the enemy slightly and stop at this, but there will be no defeat if you move away a little, and then turn back again. And since the outcome of the military confrontation is marked by these two indicators, it is necessary to fight so that they can be fully understood. ]” (Кучма: Стратегикон Маврикия [Strategikon of Maurice], p. 111). As a result, these are some of the important elements, which could teach Byzantine soldiers in training. 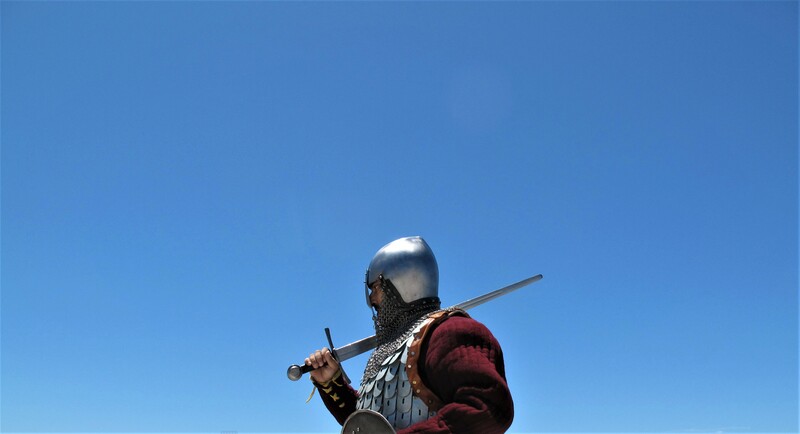 All these facts from pre-Byzantine and Byzantine history stress how military discipline, philosophy, training, equipment and mentality play a role. In conclusion, Byzantine commanders most probably hid many details about the training, but these secrets were most probably stolen or taken and written in Byzantine enemies’ or admirers’ texts and some may lie in monasteries or safe heavens, which remain hidden. Archeology may help uncover more facts. However, the practical and living continuation preserved this valuable knowledge, which exists up to this day and this knowledge is recreated, for example, at Leontes Academy. 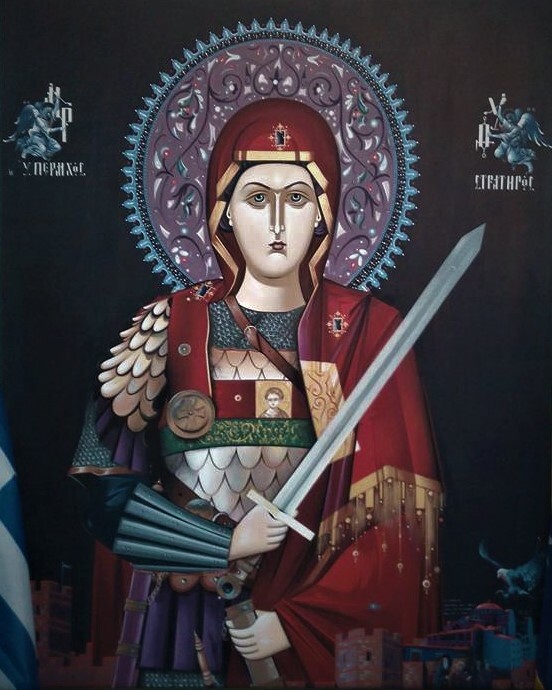 Here, I would like to give as an Appendix some images of Byzantine armor and warriors. Summarizing the aforementioned, one can conclude that Byzantines believed in self-development through personal experience and observation, while guided by strict discipline, motivation and order. Byzantine warrior had to self learn through self imposed way of life of adaptable training in relation to his enemy by understanding the oppossite side and using its weakneses and his strenghts. Holmes, W. G.: The Age of Justinian and Theodora. London: Gorge Bell and Sons 1907. Julius Caesar. The Gallic Wars. Translated by W. A. McDevitte and W. S. Bohn, 1994‐2000, Daniel C. Stevenson, Web Atomics. Taktika of Leo VI. Ed. : John Duffy. Dumbarton Oaks Washingtoniae, D.C.: MMX.